Photoshop plug-in that submerges objects in realistically-rendered water. Is there a better alternative to Flood? 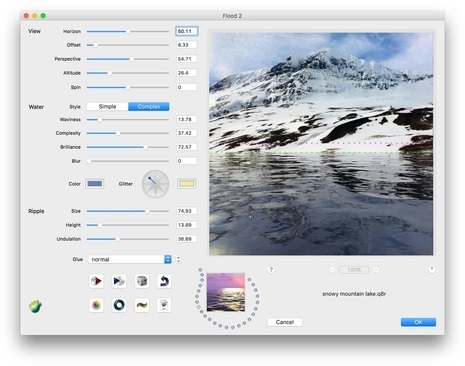 Is Flood really the best app in Image Editing category? Will Flood work good on macOS 10.13.4? 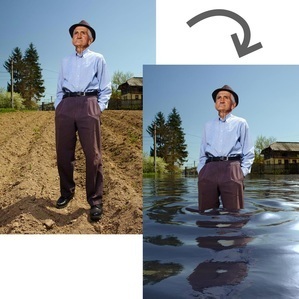 Flood is an Adobe Photoshop compatible plug-in that allows you to submerge objects into a realistically-generated water background. 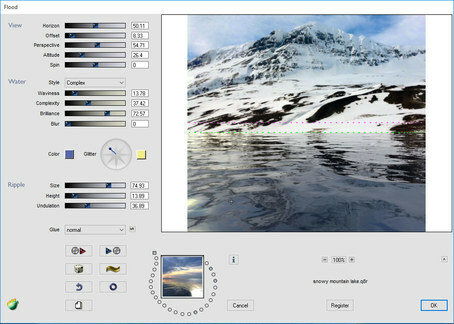 Create realistic pseudo-3D watery reflections with control over waves, ripples, and perspective. Adds the Complex water style with 3D waves, sun glitter, spinnable horizon, and streaky ‘anisotropic’ reflections of the distant sky. Flood needs a rating. Be the first to rate this app and get the discussion started!